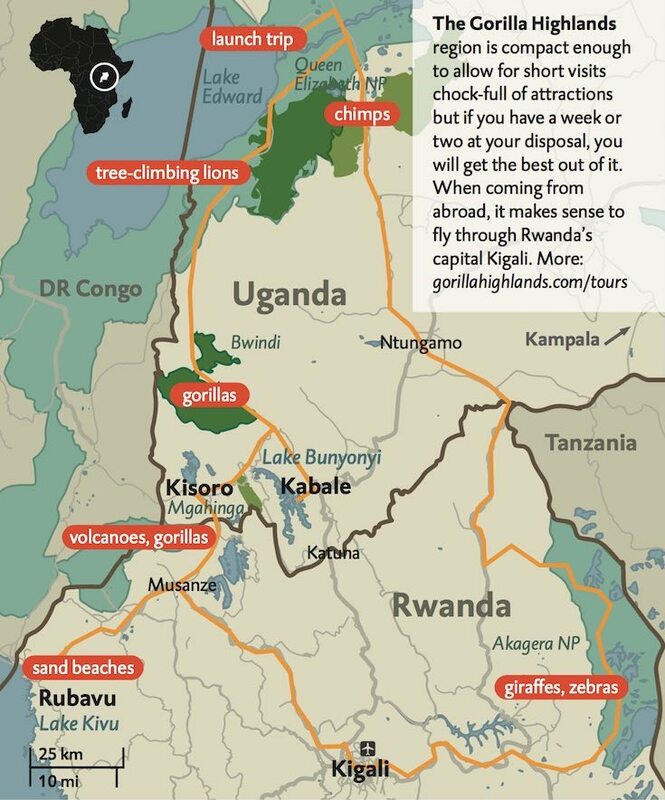 The Gorilla Highlands region is beautifully complemented by two savannah national parks, Queen Elizabeth in Uganda and Akagera in Rwanda. Both parks were severely disturbed due to armed conflicts that took place decades ago and their animal populations are still rebuilding. Queen Elizabeth NP has risen close to its former glory – in the colonial days it was considered one of the top African safari destinations – and the days of mocking Akagera NP as a place for “vegetarian safaris” are long gone too. In terms of lions, Queen Elizabeth NP is estimated to have 133 while Akagera’s total is being updated at this very moment. 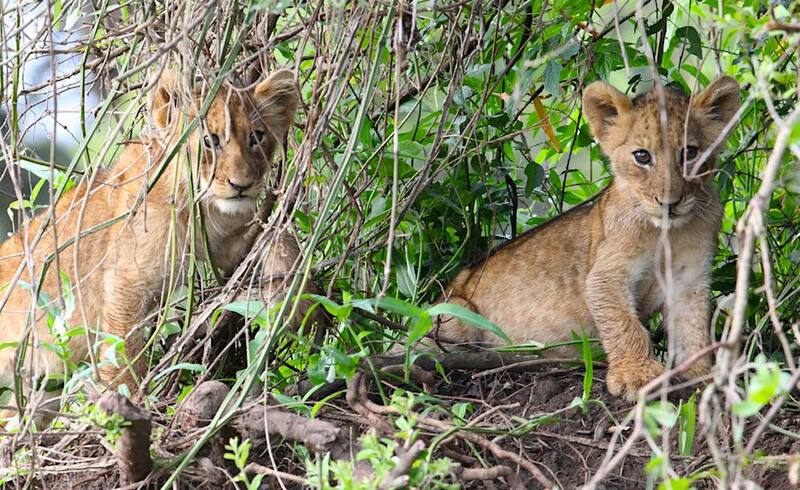 Namely, three lion cubs were spotted yesterday in Akagera National Park, ending a period of excited, anxious waiting. This is the first time lion babies were born in the park after the reintroduction of June 2015. The cubs are reckoned to be six weeks old. Their mother, Shema, 11, is the oldest female who had at at least three litters before moving here. Their father, Ntwari, 5, is a dominant male and a true Romeo who loves mating with other lion ladies as well. “It has all gone incredibly smoothly and they seem to have settled in well and behaving as they should,” said Sarah Hall of Akagera National Park in an email, answering our enquiry about the one-year experience with seven lions that came from South Africa. Those five males and two females are now confirmed to have been joined by three yougsters, bringing the number to ten. There were no lions in Rwanda for about 20 years. After the genocide and victory of Paul Kagame’s forces in 1994, there was lack of available land for returning refugees; some of them have spent decades abroad and finally felt free to come back. A substantial part of Akagera National Park, gazetted in 1934, was given to cattle keepers in 1997 (the reason why the park looks bigger on some maps). The very same fight for survival that nowadays affects lion numbers in Queen Elizabeth National Park ensued: herders poisoned lions to keep their cows safe. This is why an education campaign and other precautionary measures were deemed crucial when lions were brought back. 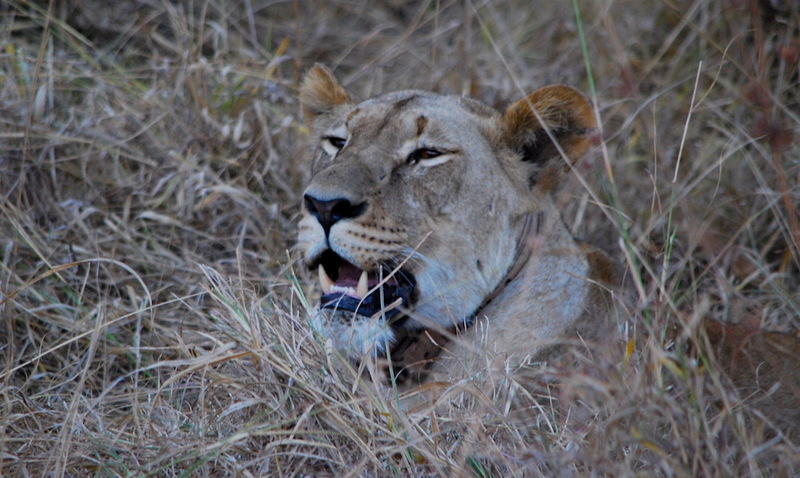 African Parks, a conservation not-for-profit that manages 10 parks in 7 countries, had had plentiful experience with animal reintroductions, including lions in Zambia and Malawi. 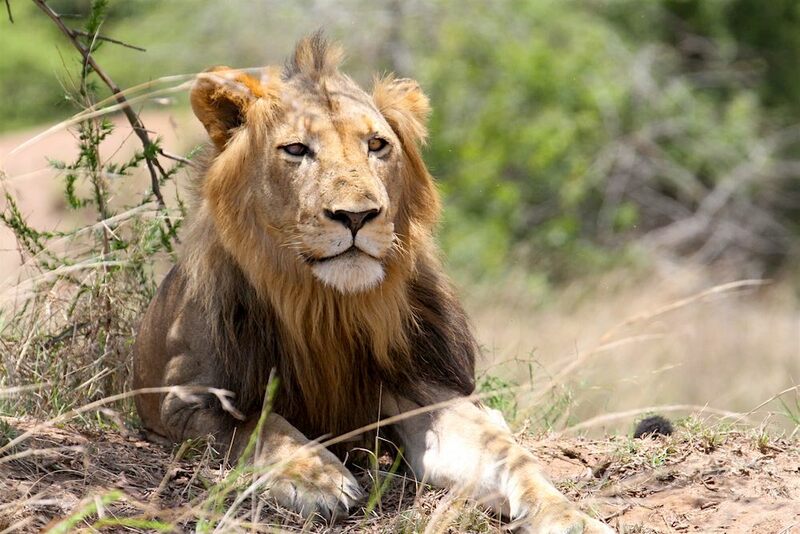 All lions were quipped with GPS trackers to monitor their whereabouts. Posters and radio campaigns spread the message of conservation. There were open-air screenings of wildlife documentaries, seen by more than 8,000 people living on the park boundary. “The Lion King”, a play acted by school children, travelled around and reached 6,000 viewers. Environmental education visits for students and local leaders are conducted each year, with the aim of making it possible for everyone living adjacent to the park to have experienced it first-hand. A “Lions Cup” football tournament for all three districts bordering Akagera has become an annual event. But most importantly, the park creates employment and 5% of its income goes for income generating activities and community development initiatives. The impact of lion presence on tourism is huge. 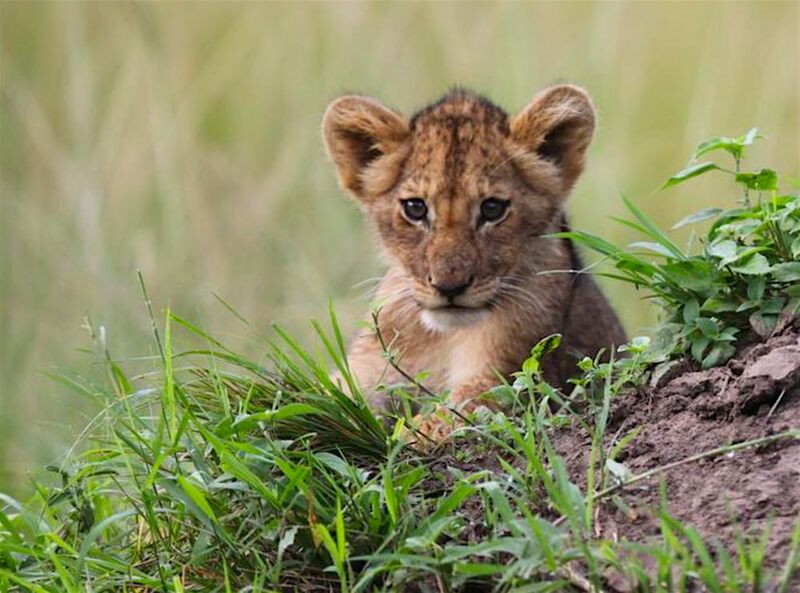 The Wildlife Conservation Society assessed in 2006 that each lion in Queen Elizabeth National Park contributed about USD 13,500 per year to Uganda’s economy, for example because of tourists’ extended stay to see them. In Akagera National Park visitation increased by 23 percent in the months following lion arrival. Moreover, lions assist in keeping natural balance. Their prey, antelopes, eat vegetation. If their numbers are not managed they could become too many, overgraze and put pressure on the borders of the national park. By feasting on antelopes, lions also allow scavengers, like vultures and hyenas, to increase in numbers. First things first, let us keep our fingers crossed for the three lion kids. “Lion cubs are at risk in their first few months; they are born blind and unable to walk in the first weeks and rely entirely on their mother for food and protection. They are very vulnerable to predators and have high mortality rates,” cautions Akagera National Park in their press release.